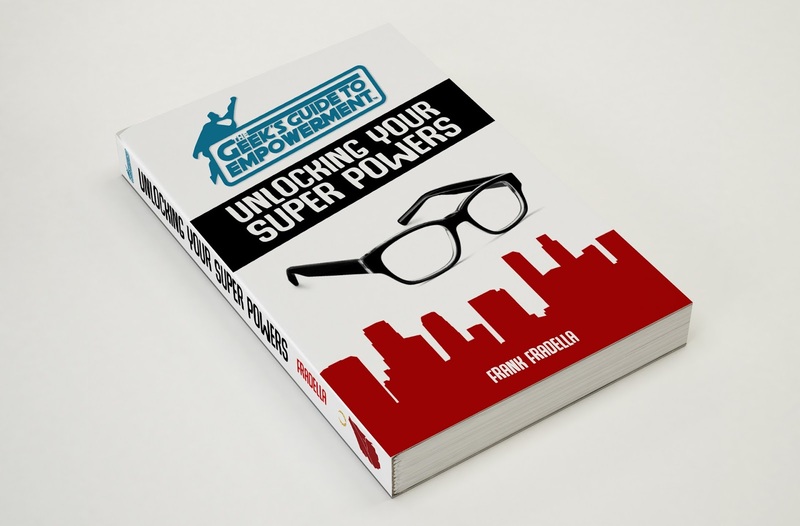 Bad Girls, Good Guys, and Two-Fisted Action: Geek's Guide announces Unlocking Your Super Powers by Frank Fradella! Geek's Guide announces Unlocking Your Super Powers by Frank Fradella! The Geek's Guide Program — Unlocking Your Super Powers — is available to you as three different paths: a manual and workbook, a self-directed video course, or 6-week live coaching program. Each one has its own benefits, but the 9 life-altering tools are included in each one! "What can this do for me?" No matter where you are in your particular journey, the Geek's Guide can help you level up. If you're feeling stuck, or limited in your possibilities; if you're suffering from depression or anxiety, or even if you're already on the road to better things, the program is designed to help you shift your point of view and give you 9 tools that enable you to make rapid, radical change. The Geek's Guide Program delivers the same concepts used by everyone from Tony Robbins to Plato, but focuses them through the lens of science fiction, fantasy, comics, and gaming so you get the tools while celebrating these things we love. It's an amazing time to be a geek!